– Economy: Germany’s by far the largest & strongest (major) economy in Europe. It’s one of the few countries with a primary budget surplus & their Debt/GDP ratio is a manageable 81.6%. Inflation’s at 1.9%, the best in Europe (well, except for Greece..!?). Finally, Germany’s got one of Europe’s lowest unemployment rates, at 5.4%, and is also one of the few with an improved rate yoy. This all offers an attractive macro backdrop – aside from its absolute merits, it seems obvious Germany will also retain its relative economic & investment advantage vs. the rest of Europe. – European Sovereign Debt Crisis: The market’s mood has obviously lifted in the past six months, but Germany is still Europe’s safe haven. And many institutions (like pension funds) move with glacial speed, so I’m convinced we’ll see continued & increasing allocations into German bonds, property & equities for years to come. Germany’s also inescapably a part of the EU & Eurozone. With the Fed signaling no rate increases ’til 2014/15, and Europe way behind, this promises low interest rates from the ECB for the foreseeable future. Which appears to offer substantial support & further gains for European & German asset classes, inc. property. Of course, that’s the best case scenario – if we re-consider the worst case, a major portion of capital invested in Europe obviously can’t/won’t just leave… It will simply get re-allocated back into safer/more attractive European investments & countries, like Germany & its property market. – Yields: Listed German residential property companies enjoy an average portfolio yield of 7.3%! On a bloody asset class that experienced no price wobbles, let alone price crash, in the past 5-7 yrs!? In a world obsessed with income, that kind of safety & yield should really grab investors’ attention. Rents also add to this potential upside – they’ve steadily risen (about 2% pa) in the past few years & have been accelerating more recently. Of course, bond yields are just as important: Companies now enjoy far cheaper funding costs as they re-finance, low Bund yields (1.39% on the 10 yr!) are an enormous positive influence on property valuations, and fixed income investors will be increasingly tempted into higher yielding (direct/indirect) property investments. And this next chart (of European property valuations), seems to suggest Germany’s located somewhere in Eastern Europe..!? An average German price of just over EUR 3,000 per sqm looks wildly anomalous vs. the rest of W Europe. And a major portion of listed German portfolios have been sourced via wholesale purchases from municipal/housing authorities, so their portfolios are far cheaper – in fact, they’re valued at less than EUR 1,000 per sqm! (Source: European premier city centre apartment prices per sqm, from Global Property Guide). Markets tend to abhor such an arbitrage long-term – which promises a slow but relentless convergence – so I believe German residential property presents a compelling investment opportunity. Part III: An overview of the listed German residential property company sector. Part IV: Brief individual reviews covering the majority of listed German residential property companies. Part V: My original KWG Kommunale Wohnen AG investment write-up. The shares were trading at EUR 5.152 at the time, and I tagged KWG with a EUR 9.51 Fair Value Target (plus a Secondary Price Target of EUR 13.41). OK, so what’s happened since?! [If you recall, I’d previously noted i) a marked sector correlation between market cap & price/book (P/B), and ii) a specific market cap which signaled a distinct step-up in terms of valuation: 100 mio+ market caps clustered ’round an average 1.02 P/B, a large premium to the avg. 0.59 P/B of sub-100 mio stocks]. In November, I calculated NAV (I prefer to use an avg. of IFRS & EPRA NAVs) to be EUR 8.82. However, management also signaled a EUR 1.00 NAV uplift (by yr-end) on the back of their announced Tower portfolio acquisition. To be prudent, I recognized just 50% of this adjustment – raising NAV to EUR 9.32. This put KWG on a 0.55 P/B, right in line with the 0.59 P/B avg. for the (sub-100 mio) sector. However, at yr-end KWG actually reported an avg. NAV of EUR 10.76! And 2 wks ago, KWG’s Q1 2013 press release (quarterly reports aren’t published) reported a further increase to EUR 10.90. This was no great surprise, though… The acquisition value of the Tower portfolio (in terms of price per sqm), and the value of their entire portfolio, were both at a significant discount to the sector average. Considering KWG’s (higher) portfolio yield, this valuation discount certainly didn’t appear warranted. I thought it v reasonable to assume this value gap would be eliminated in due course – either through progressive write-ups (as we saw at yr-end) & sales gains, or simply because investors would compensate by marking up KWG’s market cap (as I believe they’ve done with Grand City Properties (GYC:GR)). That was the motivation for the second price target in my original write-up. This compares favourably with a peer average of 57.0%. I’m also encouraged to see their average loan interest rate’s now below 4.0%, and they’ve no liability cliff(s) in terms of loan maturities. Property P&Ls I simply ignore, but I always check the cashflow statement just in case there’s a nasty surprise – but here we see marginally positive free cashflow of EUR 1.6 mio for 2012. This is quite normal for a property company with a 54% LTV & a primary focus on the continued development & growth of its portfolio. [NB: In this post, I’m assuming a peer group consisting of all EUR 100 mio+ listed German residential property companies, including Deutsche Wohnen (DWNI:GR), LEG Immobilien (LEG:GR), Gagfah (GFJ:GR), GSW Immobilien (GIB:GR), TAG Immobilien (TEG:GR) & Conwert Immobilien Invest (CWI:AV). The fact KWG can now be considered a Conwert unit perhaps automatically qualifies it to this peer group anyway. Note I’m excluding Patrizia Immobilien (P1Z:GR) & Grand City Properties (GYC:GR) as outlier (but basically offsetting) companies]. And think about the incentives for Conwert: The company plans to focus on building up its German portfolio, eliminate its (unwarranted) NAV discount & avoid and/or respond to further shareholder activism (a la Petrus or Haselsteiner). The gains to be made from supporting/enhancing KWG’s operations & value appear far larger than those to be derived from oppressing/exploiting KWG’s minorities. At the v worst, I think there’s a risk KWG shareholders end up cashed out, or flipped into Conwert shares, with little reward in the way of a premium. As regards the latter alternative, I’ve already highlighted it as a potentially interesting investment. KWG also now enjoys the backdrop of a market which appears to be starting to enjoy a long-awaited boom – in stark contrast to the relatively frozen property markets elsewhere in Europe. 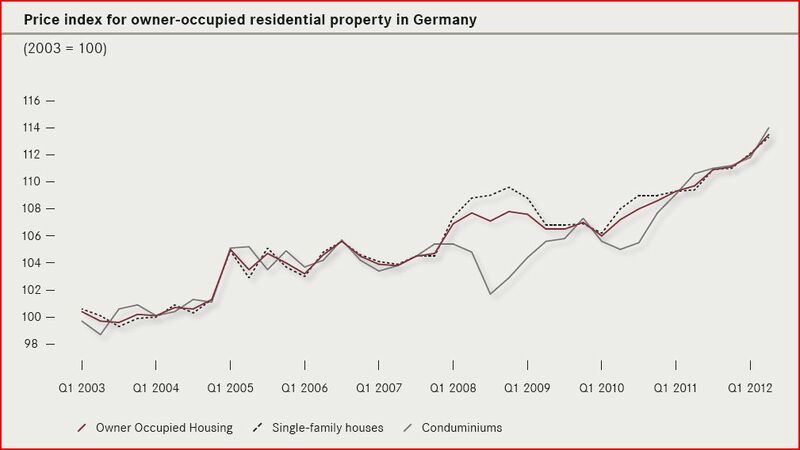 German property transactions almost doubled in value last year, to EUR 11.3 bio – the best annual total since 2007. Not surprisingly, we’re also seeing this reflected in share prices – KWG’s peer group now trades at an average 1.00 P/B multiple (share prices have risen since last year, but so have NAVs). Considering KWG’s current fundamentals, and its NAV history, I see absolutely no reason it can’t attain the same valuation as its peer group (within a reasonable medium-term time horizon). It now trades on a 0.64 P/B – a re-rating to a 1.00 P/B would imply a EUR 10.91 Fair Value per share, and a 56% Upside Potential. But a second price target continues to make sense: I estimate KWG’s portfolio was valued at approx. EUR 706 per sqm as of yr-end – which remains significantly below the peer average of EUR 850 per sqm (exc. Conwert, which enjoys much higher Austrian valuations). This doesn’t appear to be a case of comparing apples & oranges, though – KWG’s portfolio yield is that much higher also. Taking their latest rental run-rate forecast of EUR 30 mio, vs. a 425 mio portfolio & adjusting for their vacancy rate, I estimate actual portfolio yield is 8.15%. [And equates to rent of EUR 4.79 per sqm – which appears to make sense vs. reported Core rent of EUR 4.99 per sqm]. This compares to a peer average (inc. Conwert) of 7.28%. Again, I believe it’s reasonable to assume KWG’s portfolio valuation will (eventually) converge with that of its peer group. I estimate such a convergence, on a yield basis, could result in a potential 29% uplift to equity. Which suggests a Secondary Price Target of EUR 14.06 Fair Value per share, for an eventual 101% Upside Potential. Now, finally, let’s return briefly to the KWG chart. The share price spent the first 4 mths of this year in a consolidation pattern, filling the entire price gap created by the original Conwert stake announcement in December. This pattern was bounded by resistance at EUR 6.80-90, which was finally broken two weeks ago. While I’d prefer to have seen a more explosive break-out, this was the final encouragement needed for me to increase my stake last week to a 7.0% portfolio holding (a Top 3 holding for me). Together with my 3.5% holding in Sirius Real Estate (SRE:LN), my total German property portfolio allocation has now reached 10.5%. i’ve been thinking about it… i guess i am not a stock investor at all… i’m a fixed income guy. if i buy stocks that behave like fixed income, i know what i am doing. others… i have no kloo! So Xmas in Jan, Apr & May for you..! It does not necessarily materially undermine your investment case, but you have a lot of factual inaccuracies here. – The chart of European property valuations is doubly mislabelled, first by you who misleadingly translated the original website’s “located in the centre of the most important city of each country” to “premier city centre apartment prices”. The original graph itself is also mislabelled — maybe the author had an intention to deceive — by showing country names where showing city names would make more sense as the narrow sample (premium area in the main city) is not representative of countries at large or even premium city centre locations countrywide. Berlin’s position within Germany is nothing like that of capital cities of centralised states. Prices for comparable property in Munich or Hamburg are 2-3 times that of Berlin, which makes sense given that Berlin is only a cultural and government capital, not one of business and finance or other moneyed folks. Rich people don’t generally want to live in Berlin. The average artist income is 15K EUR/annum, they’re not gonna buy 1M euro studio flats. Even government is not as much based in Berlin as other governments are based in their capital city, some ministries remain in Bonn, some other institutions are spread around, and for those who are in Berlin lot of gov officials commute from other cities. seems to suggest Berlin’s located somewhere in Eastern Europe..!? well it is there — or even if you put former West Berlin in the West, it is at least surrounded by the East and its cheap country piles half an hour drive away. – most of the 30% discount for old building stock in Berlin probably disappears when you normalise for quality. Virtually all the new builds (that are for sale) are at the premium end which cannot be compared like for like with the housing stock as a whole. – also while a bubble in German property is quite possible/likely in the medium term, they tend to have more conservative banks and less captured politicians (they’ve already started tightening lending regulations before the bubble is even started), and a more reluctant attitude to debt than most other Europeans, so it is likely to be more muted than Spanish/English/Irish style bubbles. Also cultural habbits die hard, even if you get more homeownership I don’t think it will become as central to social status as it is in say the UK (there’s just no social stigma associated with renting in Germany). Check my Wikipedia link – I’m sure there’s 10 different population charts you cd consult & each would be valid in its own way – I’m simply pointing out most people are surprised to learn Berlin’s population, and ‘A 3.5 mio population doesn’t exactly suggest a provincial [or E European] backwater..! 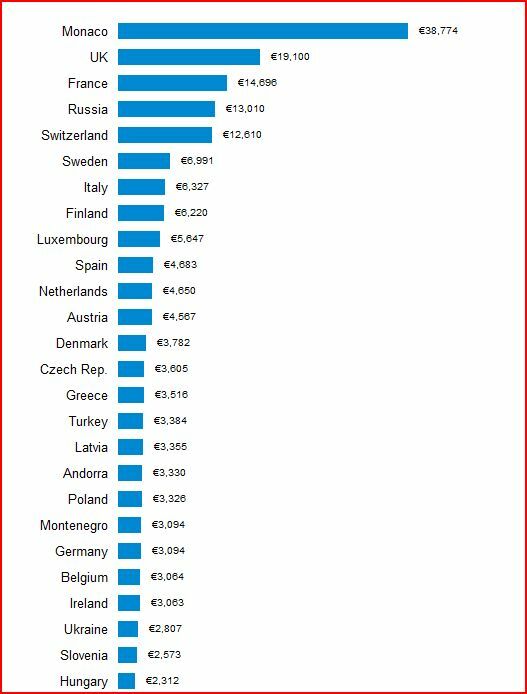 There’s nothing misleading about ‘European premier city centre apartment prices’ – anybody wd review the chart & obviously presume prices are for city centre (i.e. luxury) apartments in the capital/most expensive city of each country. Of course, this also means far cheaper prices can be prevalent elsewhere in each country – as I point out re Germany. Not sure about your focus on Berlin – note my sentence above was ‘…seems to suggest Germany’s located somewhere in Eastern Europe..! ?’ Only 11% of KWG’s portfolio is located in Berlin. As an aside, though, I’m personally a big fan of Berlin, as I’m sure Berliners are too – it’s not all about where rich burghers want to live – I may actually end up living there myself. 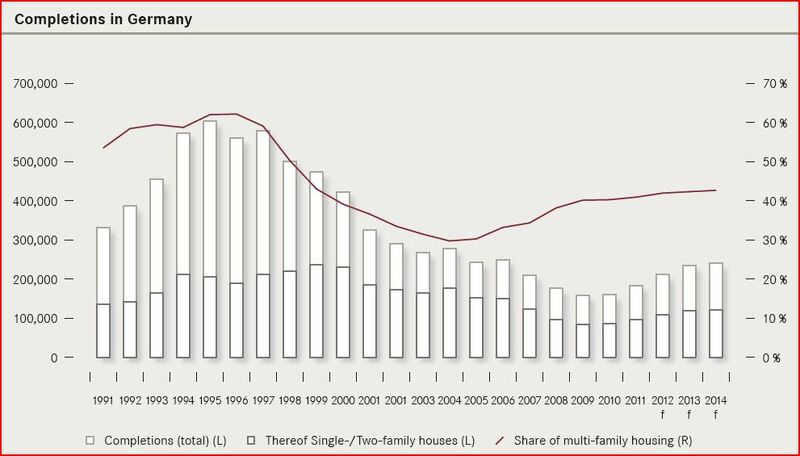 A bubble is less likely in Germany, yes, but that’s not what I’m looking for anyway – German property, in my opinion, is the premier safe haven & undervalued property play in Europe (& perhaps globally). As regards home ownership, I think I stressed convergence would be a pretty slow & steady process – but study the US residential property boom, IIRC you’ll be surprised how small the shift in home ownership actually was that accompanied/precipitated it. Berlin focus: just talking about what I know about. People I meet tend to be surprised the other way, by the relatively small population. For the capital of a country that size, it’s small, and slighlty provincial in some ways, relative to its peers, or even compared to the capitals of smaller countries in % of population. Comparing cities internationally by “population within city limits” is a factually correct but rather uninteresting data set, when the definition of said limits varies so greatly as to make comparison meaningless, and similarly for this chart mix and matching incomparable city/country data: the naive will be mislead and the well informed will know it’s useless. Noboby can get useful information out of it. Yes, I was equally keen on Japanese property a couple of years back, but opted for German property in the end as i) I think it also offers a global/European safe-haven status (which Japanese property doesn’t), and ii) I had no need/inclination to hedge it (I think currency hedging a Japanese property position is essential, even now). Considering the far greater rally in Bund yields in the past couple of years, vs. JGBs, I definitely think German property clearly offers the better relative value now. But if you still have room in your portfolio for a Japanese property allocation, it’s certainly not a bad exposure to have! I still keep an eye on JRIC:LN, but it’s not so cheap these days. 1. The five-year futures markets are already pricing in a higher risk of deflation in Germany than in Japan, due to recent yen dynamics. do you want to have real estate exposure in a deflationary environment? japan competes head on with germany in most trade. 2. correct or not, that chart doesn’t support your thesis well. if germany wants europe to look more like germany, then prices elsewhere should converge to the german level, not the other way around. But sure, if we really did end up with deflation in Europe, German property companies mightn’t be the best investments – just like pretty much all other European equity investments in that scenario..! As I’ve written, I’m certainly not that hopeful for growth prospects in Europe, or most of the developed world – but a decision to avoid the region altogether (on deflation fears) is not a call I’m prepared to make, I think there will continue to be plenty of interesting discounted asset opportunities to focus on. I’m not saying Germany will converge to the highest property levels in Europe, but I certainly don’t think the reverse is true either – the most likely convergence is probably somewhere in between. If you disagree, or are agnostic, you might want to think about long-short property opps. – personally, I’m v comfortable simply going long German property. minority shareholders can actually be royally screwed under the german corporate law, as far as I know. if a buyer makes a lowball offer, and it gets rejected, they can go and buy all the common at the 3-month average mkt price. no premium, nada. not sure if this happened historically though. the sliver of equity of IVG (commercial real estate) has a better upside (400%) if one believes the german comeback story imo. Yes, I’m certainly bullish on German property, but I don’t see a need to bet the farm on that kind of leverage! If I recall, http://valueandopportunity.com/ writes abt IVG regularly. thanks bought a few today and a few CCAP. I am a long term holder of ARGO am looking at CRANEWARE at the moment as this co’s software helps reduce american healthcare co’s admin costs and has strong financials and scope to grow in current climate. Thks, Ian – good luck! Yes, I’ve owned CCAP in the past – in fact. the last time I sold it I think it was to switch into ARGO (as they have somewhat similar exposures – emerging markets). BTW Wolfsburg is very dependent on Volkswagen and I like this sale. KWG’s portfolio is not concentrated on tier1 cities. Their sqm valuation might not be understated compared to peers. E.G. although coming from Germany I don’t know Glauchau, where the have some properties. I am not sure who will profit from the synergies with conwert. Only Conwert or both? 10 Mio. expected synergies would be nice. Yes, re Berlin, that was a typo! At least the link was correct, and looking back at least I got it right the first time ’round! And yes, portfolio sale’s encouraging, and a nice illustration of their value creation process. I get your point re per sqm valuations, they can justifiably be v different, so yield is the far more reliable metric. For example, I excluded Conwert from the peer group average valuation (as its valuation of EUR 1,305 per sqm is far higher – as we also see in S Germany), but included it in my average yield (as its portfolio yield of 7.05% is v similar to the overall 7.28% peer average). I think KWG’s higher portfolio yield does suggest an increased per sqm valuation will ultimately be warranted. One would presume the lion’s share of synergies go to Conwert, but in terms of proportional impact I think KWG might actually benefit more. Yes, KWG was really under the radar ’til recently, but has always had a great fundamental (growth) story to tell – now with greater scale, and Conwert ‘sponsorship’, I believe a lot more investors will sit up & listen. I think one can compare yield to p/e. Which means the development of rents in the future is also relevant and this depends on location. the trend is towards large citites and city centres. And there is the point of different maintenace cost due to different condition of properties. E.g. I can buy property in weak German cities like Wilhelmshaven with a yield north of 10%. The higher yield is justified due to higher risk and expected low growth of rents and low quality of the properties which means high maintenance cost in the future. This means I would’nt buy just based on yield. This is the only point I am not fully convinced of conwert’s strategy to go on a buying spree in Germany. If they include other factors the strategy will work well imho. Conwert are clearly trying to be tres fashionable, but I can’t really fault them for that. They’ve been unfairly singled out for an excessively wide discount (for historical reasons, I believe – which are no longer valid) vs. their most comparable peer group. They’re clearly trying to reverse/eliminate this discount, and (for example) ending up with a German-listed German residential property portfolio would probably be an excellent back-bone to that strategy. I’m sure they won’t be averse to acquisitions, but I’m not sure they plan any immediate buying spree – they’ve already evolved into primarily a German residential property company, and their German residential segment is significantly larger than KWG itself. Once KWG is consolidated, Conwert’s transformation will be complete – 80% of their portfolio will be German. If that closes the discount, mission accomplished – if not, I expect we’ll probably see further corporate activity/consolidation in due course involving KWG. Thanks Ruyiswick – another one that allows me to sleep well at night..! No matter how well the market’s doing, I’m always happy to add more of that kind of exposure, esp. if it offers an interesting/special situation. No dividends, and I wouldn’t expect any for some time. In fact, only about half of its largest peers even pay a (poor) dividend – there’s still such a ‘land grab’ going on, there’s been little emphasis on instituting & developing progressive dividend policies in the sector. [Rightly so, I believe]. So when I talk about attractive property yields, clearly that’s only going to attract smart income investors on a look-through basis, not the dividend dummies… But meanwhile, we’ve had plenty of ‘growth’ investors & ‘flight to quality’ investors climb on board. i’m too stoopid for this kinda thing — if it has a double digit yield, you get paid no matter what; and if the yield is sustainable… the plice will eventually do what its supposed to do — ie rise; but things without yield… well, they can always go lower and stay lower longer than you have ever thought possible. some people (like you) tell me they can predict what things without yield will do. i have no reason to disbelieve you. but when i buy things without yield they tend to go… lower. i have reduced my mlp positionin the US — the money this year has been made, imho, except the usual trading around xdivs and spos; but i have kept my JPY yen short — abe will bust his balls to make sure yen does not rise; but things just could go very wrong with abenomics, in which case… hello 160. so it’s an assymetric bet, the kind i like. looks like i will take a bath on nbg rights – my fault. i was extrapolating from my success with alpha bank rights issue — buy Xrites -1 @1.33, receive on Xrites stub worth 0.60 and rights worth 1.80, howz dat for a day’s work. so i thought why not nbg. but nbg is a crap bank and the effing insiders are determined to gorge themselves. bloody hell, no effing sense of shame. you don’t steal everything. you leave some crumbs for others so that they can praise you. But don’t forget the vast majority of stocks actually have relatively low dividend yields on average, so in a more normal environment investors are therefore much more focused on each stock’s growth or value status/prospects. I think that USD/JPY bet has been asymmetric for a long time now – imagine the pricing on 110.00 JPY puts six months ago & the IRR now on that trade..!